A Podcast about Concussion and Community Football. Ben Rodin reports. When news came out that the AFL had interfered with concussion research that it had commissioned into the effects of repeated head knocks on past players, I was neither shocked nor surprised, but I was perplexed. Having spoken to the AFL’s Chief Medical Officer, Peter Harcourt, about the potential need to change the game given its inherent risks, he was confident in the game’s ability to withstand those questions. “The long-term consequences we’ve got our eyes on, trying to understand what those risks are, but it seems to be low – seems to be. We don’t really know so we take a very conservative approach at this point,” Dr Harcourt said. 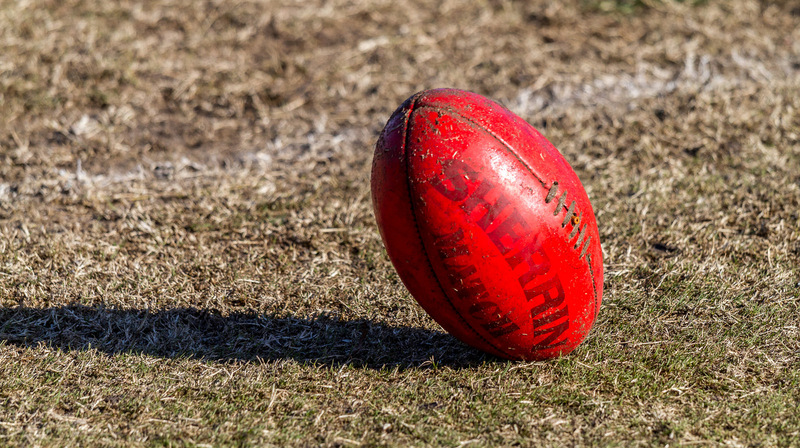 However, Wendi Carlisle’s investigation, first published in The Monthly, suggests that despite the risks Dr Harcourt discusses, the AFL is not transparent about how it seeks to manage mild brain trauma injuries. Moreover, it again left me wondering about the fate of those who play the game at its lower levels. A total of 1.5 million people – spanning men and women – play Australian Rules football each year. While the AFL sends a mixed message at the elite levels of the game with its approach to researching and mitigating against concussion, its trickle-down coverage for amateur competitions means clubs, trainers, coaches and players are left mainly to self-manage using AFL guidelines. So just how does the community footballer deal with a concussion? What does one do when faced with multiple head knocks? It is a pertinent question, as a body of evidence emerges that repeated sub-concussive blows, in addition to concussive impacts, contribute to poor long-term health outcomes. During the past six months, I have produced a podcast, titled Unsociable Game, that looks at the experiences of four recently retired community footballers from West Brunswick Amateur Football Club, including myself. We all retired from the sport at the end of the 2017 season. I spoke to Dr Harcourt as part of this project. When my attention turned to the project, I was at first interested in documenting and exploring the experience of the people for whom the game is both a passion and a sideline. I wanted to look at how they experienced a bad “head knock”, the ongoing symptoms, and the decision of whether or not they would play on. However, other contexts began to complicate the investigation. On a community-wide level, while the AFL has developed some programs that equip trainers and parents at junior and amateur level with mechanisms to help identify potential concussions, it has no way of keeping track of the level of concussive impacts across its community competitions. Furthermore, the research that is available suggests clarity is urgently needed. With limited studies suggesting amateur men’s football mirrors the likelihood of concussion at the elite level, it is possible that for every three games of adult football played around the country, a concussive head-knock occurs. Despite this, the information of the past week suggests we might not be able to trust the AFL to look after the interests of its 800-plus full-time men’s players, something which is outside my podcast’s remit. It does, however, add the following question: If this is true, what chance do the 1.5 million community participants have of getting policy and support that adequately looks after their well-being? Episodes 1 to 5 available here.